This year BMW was awarded Red Dot Design awards for four of its product lines from a field of more than 4,662 entries from 54 countries in 19 categories. BMW drew acclaim for the BMW M6 Gran Coupe, BMW 1 Series, BMW 3 Series Touring and BMW R 1200 GS motorcycle in the Automotive and Transportation category. The actual presentation will be at a Red Dot Gala, slated for the Aalto Theater in Essen on July 1. Over 1,200 international dignitaries will be on hand from industry, politics and the media. The design award dates back to 1955 and was established to recognize outstanding achievement in the diverse fields of creative innovation, annually appealing to 1,865 independent designers and companies, small and large, that compete in the awards. 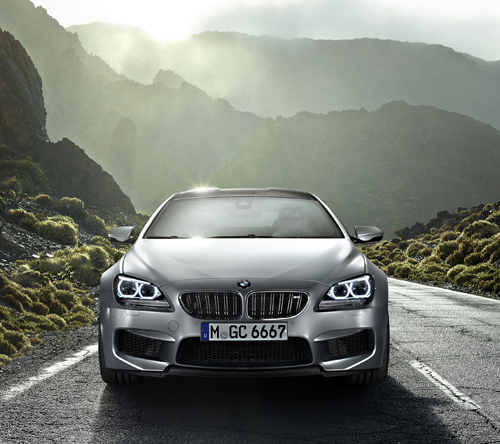 The design of the BMW M6 Gran Coupe, for example, strikes a balance between its functional and aesthetic appeal. The M6 design was greatly influenced by technical considerations like air cooling requirements, chassis geometry, balancing weight and aerodynamics. These aspects lead directly to the driving dynamics of the BMW M6 Gran Coupe. Large air intakes are dominant in the vehicle’s front grille, designed especially for this model. In profile, the first four-door Coupe design in the BMW M GmbH ranks is distinct from the BMW M6 Coupe. The low roofline flows smoothly into the rear, taking in the door openers while side windows extend well into the C-pillars to accentuate the striking silhouette. Lightweight CFRP is used for the roof to provide an eye-catching structural detail, as does the recess in the roof’s center. The 3-door BMW 1 Series also presents a compelling visage with its typical Beamer proportions. Its distinctive looks, dominated by long, stretched lines, distinguish it from its compact rivals and 5-door sibling. Wide doors with unframed windows, uncluttered even by B-pillars and a very low roofline creates a sporty yet elegant appearance. The BMW 3 Series Touring adds versatility and variable lifestyle applications to the brand’s core values. The elongated profile and sloping rear window give the impression of movement when standing still. A roofline sloping smoothly downward works with a large tailgate suggest the vehicle’s versatility. Similar to the 3 Series Sedan, the Touring variant shows consistent design development and precision. Outstanding among the sedan’s interior aspects is its staging of gauges, controls and amenities, offsetting various layers of the cabin’s architecture with the driver focused cockpit to ensure all important features are within easy grasp. The new BMW R 1200 GS makes a persuasive case with its resolved design language and aggressive off-road stance. Its familiar GS design platform makes the new incarnation of the world’s most popular touring enduro a case study in how to take the styling of an iconic motorcycle to another new level of perfection. The brand has had repeated success in the annual awards of late, winning 11 Red Dot Awards just last year including, the BMW 6 Series Convertible and BMW X3, with the BMW 5 Series Touring capturing the Best of the Best title. Having driven a 2013 Active Hybrid 5 during the Colorado Green Car Convoy last week, we won’t be surprised to see the brand earning awards for their new hybrid technology that, without changing the driving dynamics of the Series, adds horsepower and surprising economy with an electric motor and battery.